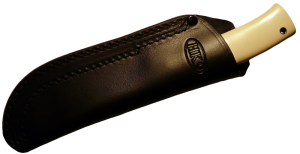 Fallkniven are famous for their quality knives and the HK9 is no exception. This is quite a beautiful and elegant knife which is however also quite practical. It comes with a polished Damascus steel blade that contains a core of CowryX powder which is not only attractive but extremely hard so this makes it very useful for a myriad number of tasks. This blade is extremely strong and also manages to keep the edge much better than any comparable blade in this price range. Although the knife is essentially a showcase model, it is useful to put it into practise. It shouldn’t be left on show in some glass cabinet but should be used for some of those tasks for which a Fallkniven knife is famous such as skinning, hunting and chopping wood for camp fires. But then that’s your personal choice after all! 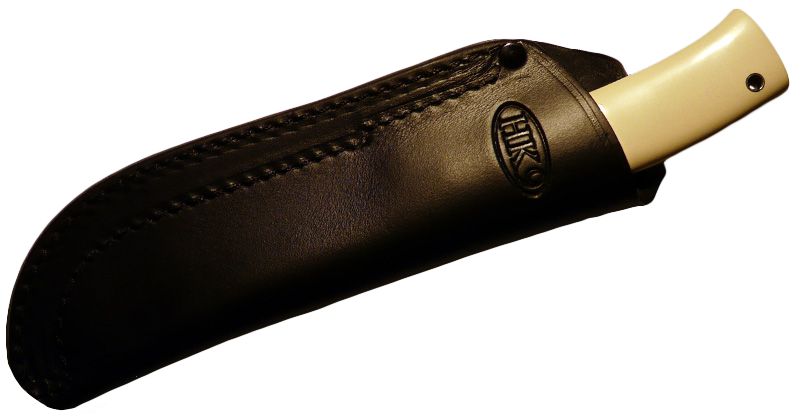 But the HK9 is not only a blade to be reckoned with since it comes in a package with its own custom made sheath which is a work of art in itself. The leather is actually slightly more than 3mm thick and there is also a thick liner along the sewing to keep the sheath in its shape and the knife completely as well as safely in its place. 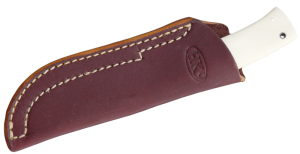 Fallkniven say that the sheath should fit very tightly in your belt enabling one to push or pull the knife from its sheath with just one hand. The sheath should be kept as clean and dry as possible by using such materials as shoe shone polish. Grease should be avoided as this will make the leather soft and reduce its effectiveness. 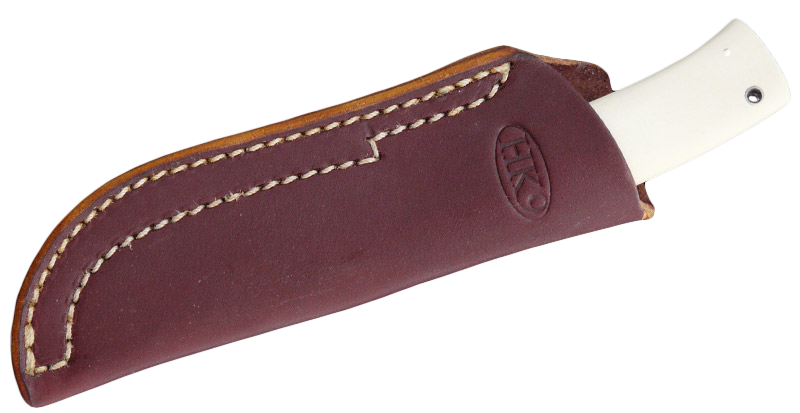 There is also the option of using a zytel sheath of the F1 variety which is completely waterproof and which fits the HK9 snugly like a glove.